Make yourself at home in one of the 24 air-conditioned rooms featuring refrigerators. Complimentary wireless Internet access keeps you connected, and cable programming is available for your entertainment. Conveniences include coffee/tea makers, and housekeeping is provided daily. 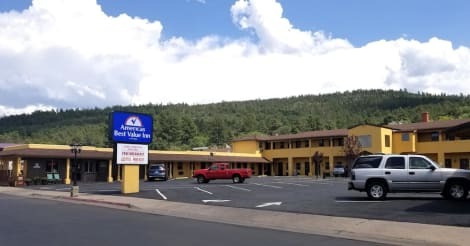 With a stay at Americas Best Value Inn Williams/Grand Canyon in Williams, you'll be a 4-minute drive from Williams Depot and 6 minutes from Bearizona. This motel is 0.1 mi (0.1 km) from Wild West Junction and 0.5 mi (0.8 km) from Thunder Eagle Native Art. With a stay at Star Hotel Route 66 Grand Canyon in Williams, you'll be a 3-minute drive from Williams Depot and 6 minutes from Bearizona. This motel is 0.1 mi (0.2 km) from Wild West Junction and 0.4 mi (0.7 km) from Thunder Eagle Native Art.